Posted on November 1, 2017 at 6:56 am. Tile retainers are often asked about sealants for tiles especially natural stone. These sealants are designed to protect tiles and keep them looking good in the long term. The sealant will form a protective layer on the treated tiles surface. This prevents dirt or grime from penetrating the tile material. It also prevents the dirt or grime from sticking to the surface, making cleaning easier. Sealants are best suited to indoor tiles. Any tiles outside are constantly exposed to moisture and sealants can sometimes trap moisture inside the tile material. Some manufactures pre-seal their tiles. There is no need for additional sealant. Standard Porcelain tiles do not really require sealing. 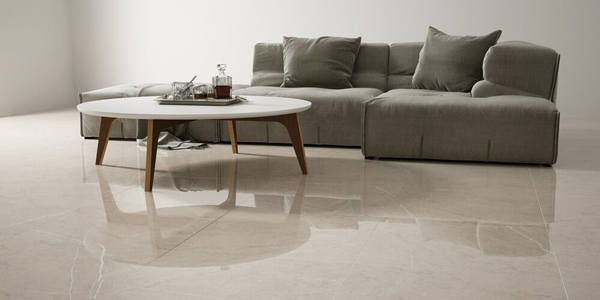 Polished porcelain will have micro pores that require sealing. These should be pre-sealed, before laying with grout. Ceramic tiles will not generally require sealing. Stone tiles are porous and requires sealing, lest it becomes stained. This should be done before grouting. Natural materials that are porous will need to be sealed. A good quality sealant will not change the appearance of the tiles or stone surface. Sealant will need to be periodically reapplied, usually after two or three years depending on the quality of sealant and traffic. Tiles subjected to heavy foot traffic will need re-sealing every year. You can check to see if the tiled floor needs resealing. If water beads on the grout the sealant is still working adequately. If the water soaks into the grout the floor needs resealing. Good quality tiles can be made at reasonable prices. That is the advantage of mass production and modern manufacturing techniques. If you find a style of tile that you like, it is worth sealing the finished product. We have the cheapest tiles Sydney wide.